Hello Mike! We love and support you! Please come to Greece! Hello Mike! Come to Ukraine, please! Hey Mike, when are you come to Jakarta - Indonesia ? Hi Mike, come to Brazil!! Pleaseee!! You are a real LP Soldier, so powerful and strong, beyond what we can understand as strength. Inspiring me and others every second trough this process to follow that way and becoming stronger. The demand is made but we as LP soldiers will walk to China if we have to. Thank you for being you, love and a big hug for all of you. Hi Mike, Come to the big beach. hello Mike,When are you coming to Brazil? Hi Mike Have a good day ! ! Hi Mike, there is a huge demand for you in Australia! Everyone absolutely loves you here and would love if you toured here soon (especially MELBOURNE). We miss hearing your amazing music. Your new album is incredible. Much love Paul and Nic ?????????? Come to Poland we love you!!!!!!!!! Hello, Mike! I just want to say that a lot of people are waiting for you in Ukraine! So, please, come to us! hi Mike! pleaseeeee! come to Peru! all your peruvian fans want you to come to peru with your PostTraumatic show! i hope you come to Lima , we love you Mike! 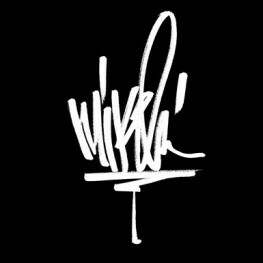 Hi Mike, I'm lagOCheca, your Spanish fan, I hope you come to Spain with your PostTraumatic Show, I hope to see you, Thanks! Hola Mike, soy de Chile. sigo a LP desde la primera vez que escuché One step closer en la radio hace 17 años atrás. Hay una catarsis en tus letras que me hacen recordar con nostalgia y alegría los viejos tiempos de mi vida y de linkin park. Mike espero de todo corazón verte en Santiago y gritar tus canciones. Te queremos. Aloha Mike! HONOLULU, HI would love to see you preform ! Whenever you're ready to hit Seattle Mike, I'll be there. Whenever you're ready to hit Sea'tle Mike, I'll be there. Mike ti aspettiamo in Italia. L'Arena di Verona è spettacolare!!!! Please come to Italy Mike ! Please come to London....sorry I addef myself as an artist lol.....will try to take me off.....Im Carol.....sendind you loads of love ???????????????????????????????????? We want you in Italy Mike! Ti aspettiamo in Italia !!!!!!!! Please come to London Mike. My best friend and I have been huge fans of LP for over a decade. We would love to see you and the band in concert! We’re so excited that y’all are continuing on and Chester is always by your side!! ???? Hello Mike thank you for all the music you make and would love to see you perform live. Please come to Orlando Florida. Hi Mike!!! I just want to say that you are a great artist and Chester would be so proud of you!!! Linkin Park was the first band I really got a connection with, your songs are just so great! Unfortunately I never got the chance to go to one of your concerts, because a few months after I started to listen to Linkin Park passionately, Chester passed away which hit me really hard. I wish you all the best, stay strong and make music!!! By the way it would be soooo great if you come to Munich one day! It would be the best thing to happen in my life!!! Love you so much!!!???????????????????? You are amazing! I had front row tickets to the Tahoe show scheduled right after Chester's passing. I was devastated that I wasn't going to get to see you. I have been to every Sacramento show you have performed except one. And several shows all over CALI. I am on fire for everything from Xero, Fort Minor, LP and now your new music. Ill see you May 12! Keep up the talent Mike! You are the greatest musician of all time! Please comeback to México city, our hearts are still broken, but let us show how much love we have for them and that we will continue to remember them forever. Come to Thailand. We love you. Come to Barcelona we love you! Hi Mike I'm a LP Soldier from a long time ago. I've been at the show in Monza, in Italy and that has been the best day of my life. Thanks to Chester's voice I've been able to pass through every hard time of my life until he passed away. Now I'm so proud of being a Linkin Park fan but I still don't know how I will keep listening to your music without thinking about Chester and become sad...again. I’ve made 2 profiles as I didn’t realise I could link this to my twitter! Hey there mike! I’ve demanded a show but it’s came up as a place called Nuneaton which is near Birmingham but that isn’t actually my town I’m up here visiting my Fiancé who is in the army. I live in North Dorset near Bournemouth so if you could place in either of those people place that would be amazing. Me and my fiancé are big fans of yours! Love the new music. Really felt the emotions ?? Hello Mike!my name is Aslan,I'm from Kazakhstan!